Located close to the beaches of Pereybère, the house is large with a beautiful view of the forest. Large comfortable room of about 15m2 with a view of the pool. Large terrace of 15 m2 with views of the forest. This spacious room, located 3 minutes drive from the beach, is ideal for 2 people. You will have at your disposal a beautiful storage cabinet. The apartment, above the main villa of Christine and Luc, has a large living space and a large kitchen. The private bath is large and has a bath. Weekly housekeeping is provided. You also have the opportunity to have your breakfast at a very attractive price! You will have access to a beautiful swimming pool and an enclosed garden. The terrace offers a perfect setting to relax after a day spent in the sun discovering our island. 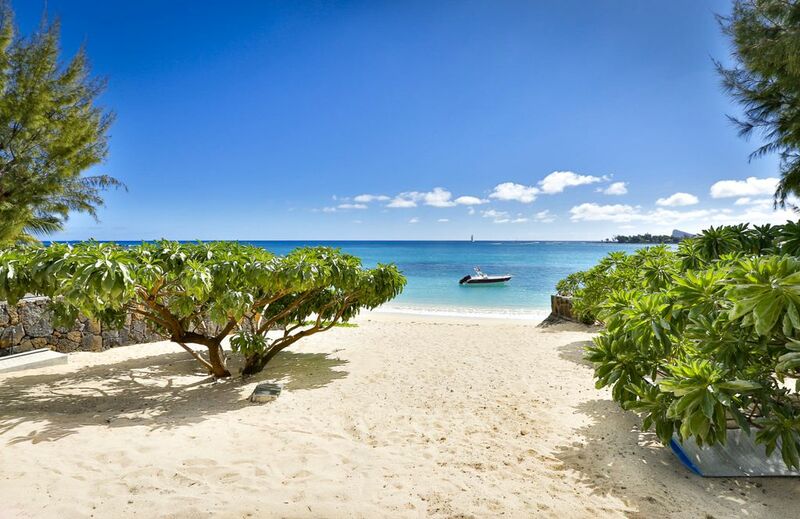 Sit comfortably in the armchairs to read a good book or sip a little Mauritian rum. The apartment has a washing machine, cleaning products, ironing equipment. Please note that cleaning, towels and sheets are included in the price. You can park on site in the courtyard of the house. It is forbidden to smoke indoors. Pets and children are not allowed. Parties are not allowed. Thanks to our good knowledge of operators in the region, we can organize your excursions at the best price (because we have negotiated prices for our guests). Do not hesitate, ask us! Christine & Luc are on site, they will be able to answer your various questions! The neighborhood is residential and very quiet. Located 3 min (by car) from a supermarket and beaches. Possibility of parking the vehicle in the courtyard of the house. A car is recommended to visit the island.